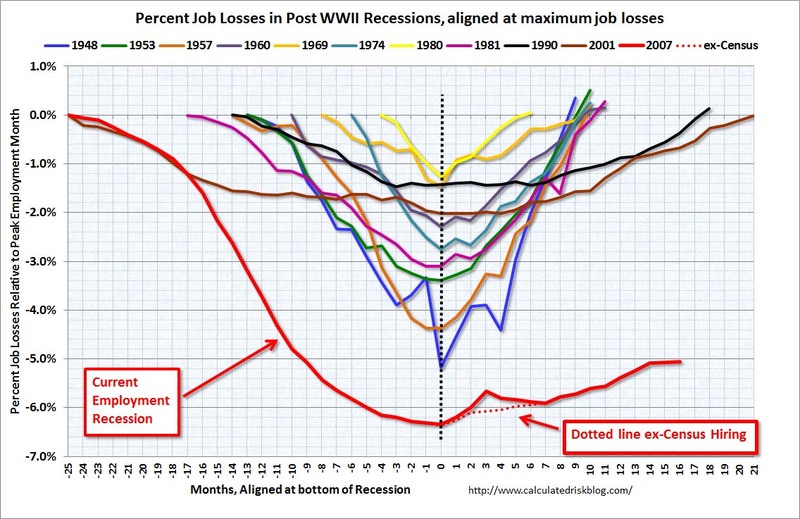 The graph from Calculatend Risk shows the percentage job losses for each post WWII recession in the United States. For each recession the lowest point in employment is in the middle of the graph. This jobs recession is by far the worst so far and recent data suggest that unemployment won't come down fast any time soon.